An intensive three-day retreat focused on identifying and improving the areas of life you feel are most important. A powerful year-long program with quarterly live sessions and conferencing calls focused on personal and professional development. A highly customized personal coaching program designed to condition you for unbridaled personal and professional success. 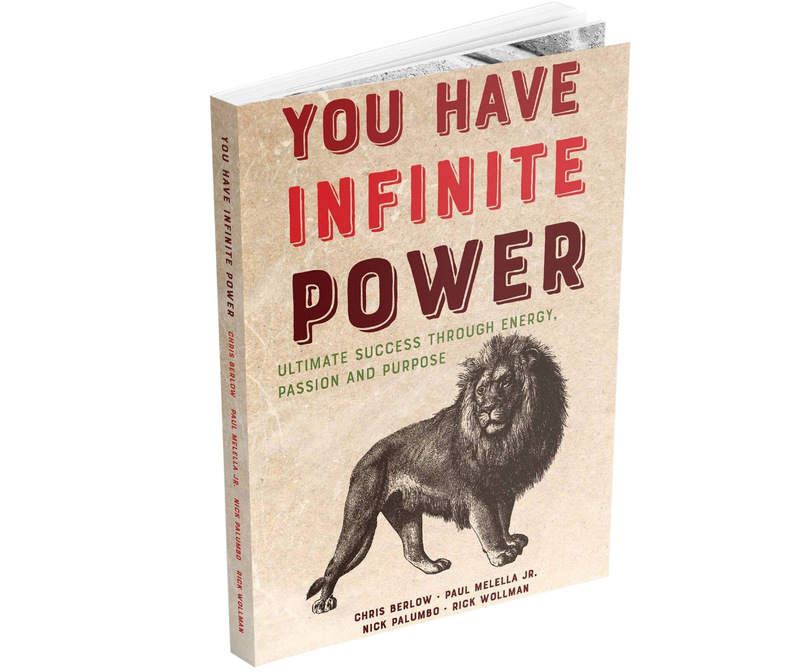 This powerful, enlightening guide, written by Chris Berlow, Paul Melella Jr., Nick Palumbo, and Rick Wollman, comes from a team of entrepreneurs and martial arts experts who openly share their triumphs and their failures—and reveal how you, too, can become more happy, successful, and self-confident at home and in the workplace. Merging the martial arts philosophy with sharp business acumen, “YOU Have Infinite Power” teaches you not only how to make a living, but how to make a life. The Amazon bestseller offers 39 conditioning-for-success exercises that compel you to look introspectively and challenge you to live transformatively. Empowered Mastery is a personal and professional development center with signature training programs and coaching methods designed to catapult your life and career to the next level. Empowered Mastery’s flagship program, YOU Have Infinite Power™—born from the company principals’ bestselling book—is a powerful trademarked process proven to inspire professionals and entrepreneurs to achieve ULTIMATE Success personally, professionally, physically, and spiritually.